That’s right, this poor, sad person felt so threatened by the powerful female protagonists in The Last Jedi that he felt compelled to remove them, resulting in what is most likely a 46-minute-long disaster. Sorry bro, but you don’t cut Carrie Fisher, Laura Dern, Daisy Ridley, Gwendoline Christie, and Kelly Marie Tran out of the film they star in and call it better. The result is likely a terrible fan-boy montage of Kylo Ren moping, General Hux making a fool of himself, Finn speaking to nobody, Poe Dameron staring out a window, and Admiral Ackbar being blasted to smithereens (which we’re sad about, but that’s not the point). "[‘The Last Jedi’] can now at least be viewed without feeling nauseous about most of the terrible big and small decisions they made in this film,” the uploader writes via Indiewire. “The intro sequence is now very watchable and actually much cooler without all of Leia’s nitpicking. Now it’s all one united Resistance fighting without inner conflict and that’s much more satisfying to watch. Due to the extreme shortening, the whole movie is much more fast-paced now…"
He also reportedly referred to his edit as “’The Last Jedi’ minus Girlz Powah and other silly stuff.” Sure, Jan. This whole thing reads like a misogynistic version of “I don’t like sand” and we’re going to have to give it a very hard pass. While self-proclaimed men’s rights trolls have been trying to derail The Last Jedi since its release, it doesn’t seem like their efforts have been working as the film, which is already one of the most critically-acclaimed in the franchise, has already crossed the $1 billion marker at the box office and only continues to make money. Naturally, the men of The Last Jedi have no time for this re-edit nonsense. 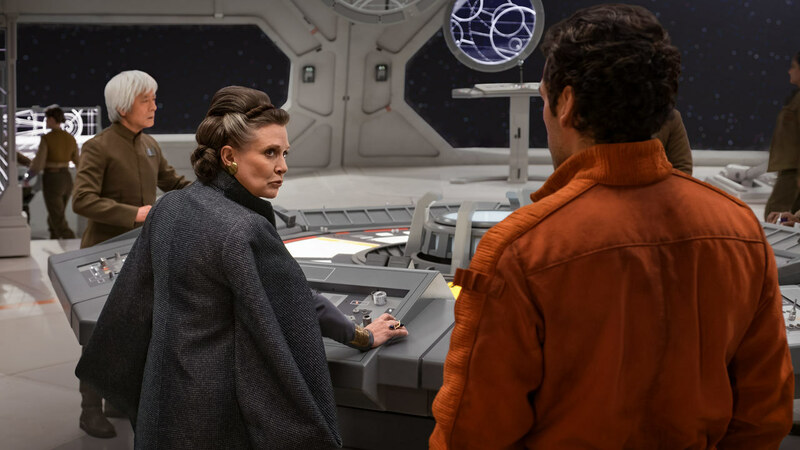 After writer Priscilla Page responded to the absurd and frankly pathetic edit, writer-director Rian Johnson and stars Mark Hamill and John Boyega got on board with their own responses. At least we can feel comforted knowing that if Carrie Fisher was alive, she’d be able to tell this fool where to shove it. But on her behalf, we’re going to officially say goodnight and goodbye to this nerf herder (not a compliment).